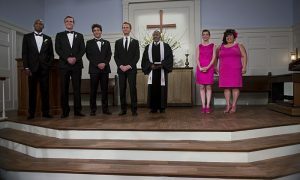 HOW I MET YOUR MOTHER Season 8 Episode 21 Romeward Bound Photos : “Romeward Bound” — When The Captain asks Lily to move to Rome for a year to be his art consultant, she fears that Marshall will resent her. 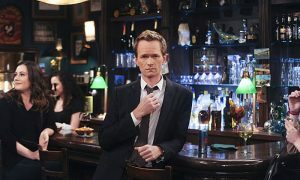 Meanwhile, Ted and Barney become obsessed with a girl who is hiding her amazing body under a puffy coat, on HOW I MET YOUR MOTHER, Monday, April 15 (8:00-8:30 PM, ET/PT) on the CBS Television Network. 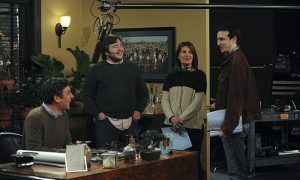 Kyle MacLachlan returns as The Captain.